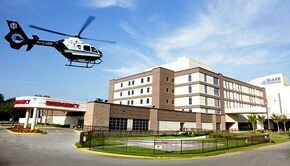 383-bed, acute-care, full service medical center and a leading provider of quality, affordable health care. Because we believe in "Quality, Excellence, and Commitment," we deliver the very best medical care with our state-of-the-art medical technologies. Located on the southern most part of Tampa Bay, the Bradenton Area is a great place to explore historic attractions, fishing adventures, golf and shopping. Bisected by the Manatee River, the small city of Bradenton lies on the river's southern shore with the municipalities of Palmetto and Ellenton to the north. Shopping is also a preferred pastime in the Bradenton Area. Ellenton is home to the largest discount designer outlet in Southeastern US*Prime Outlet Mall. The beaches are full of fabulous boutiques and galleries and the outdoor and indoor markets of the Red Barn Flea Market offer many bargains. This is Florida at it's best!